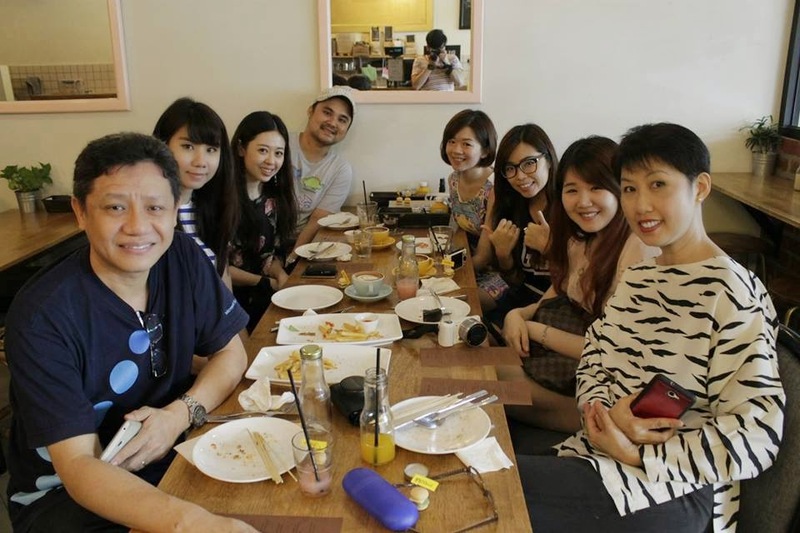 Again, thanks to FoodInk invited me go to explore delicious foods together. 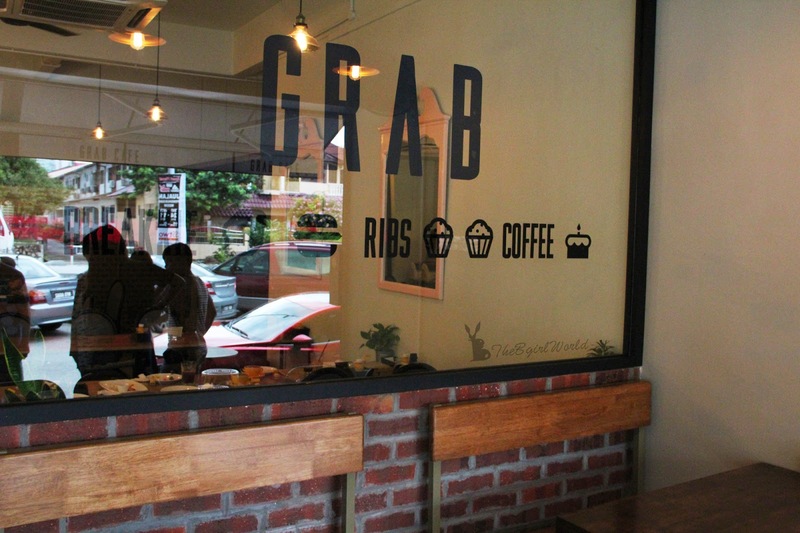 GRaB Cafe has various flavour from beef, chicken, lamb and vegan, fulfilled all different kind of people's need. 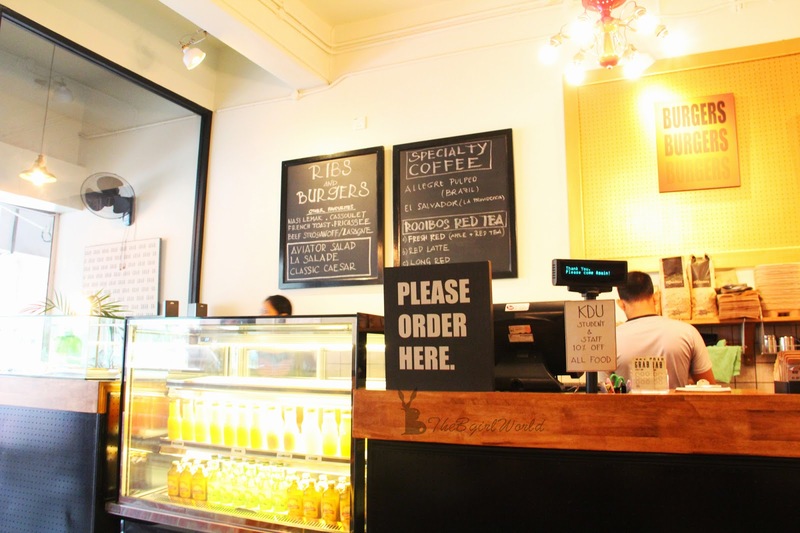 They do serve cakes, fruit juice in bottle, coffee and red tea ( not many cafe serving red tea). Looks what is stick at the cashier, yea! 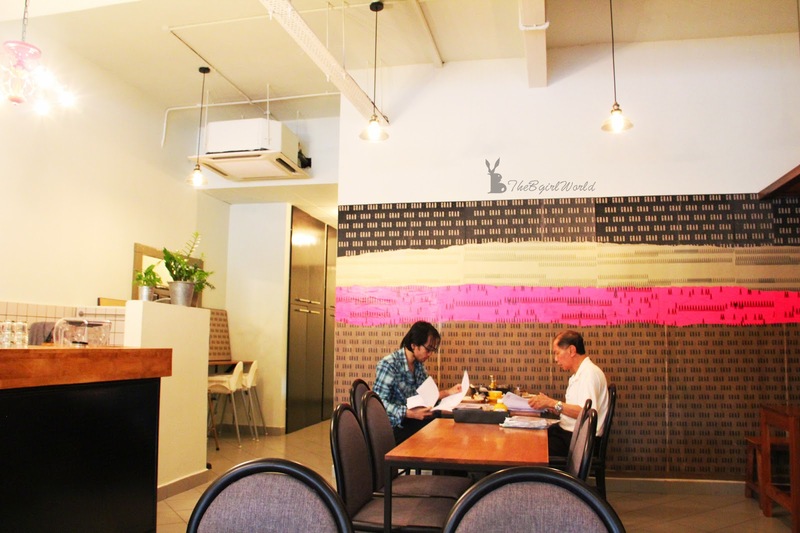 KDU student and staff can enjoy discount in this cafe. 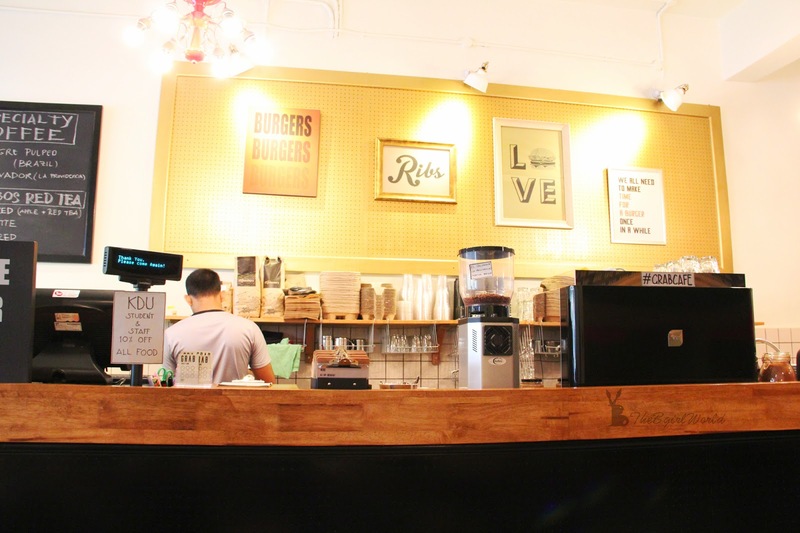 Although cafe is not too big but cozy, you can enjoy your burger with coffee while chit chatting with your friends. 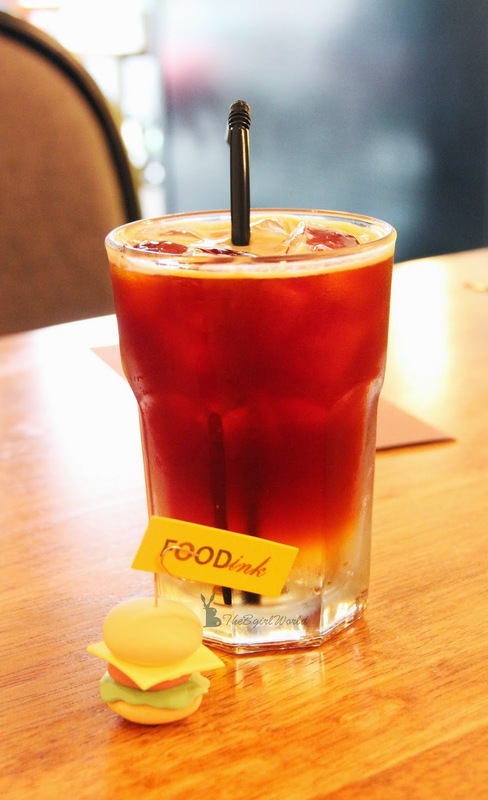 One of their signature drink, fresh red (apple + Rooibos red tea). 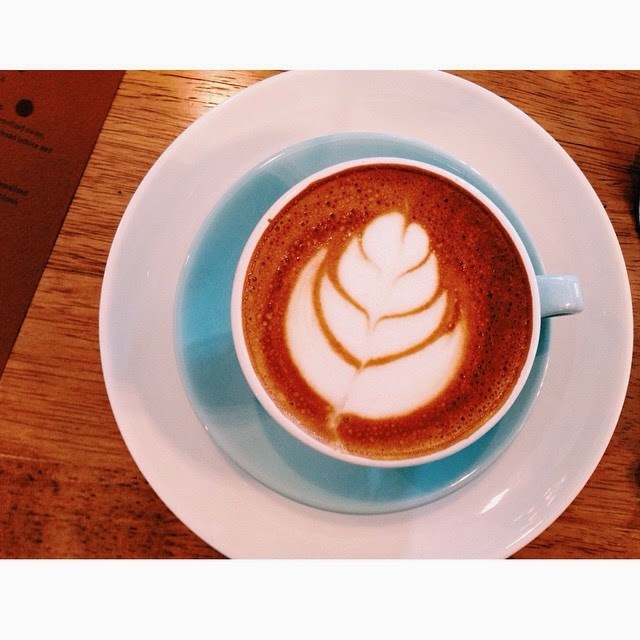 I feel refreshing as like the name of drink(fresh red), would like to recommend to you if you like red tea. 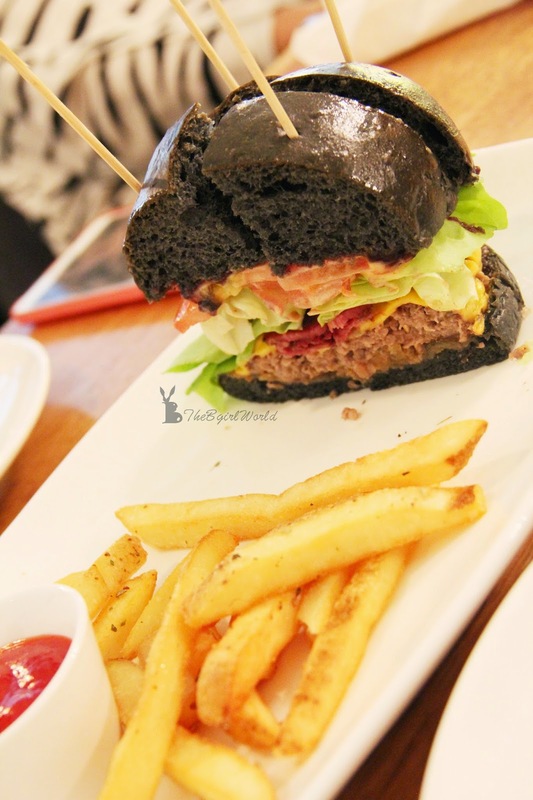 Served by beef patty, beef bacon, cheese, caramelized onion, blueberry jelly and peanut butter, butterhead lettuce and fresh tomatoes, fries as side dish. 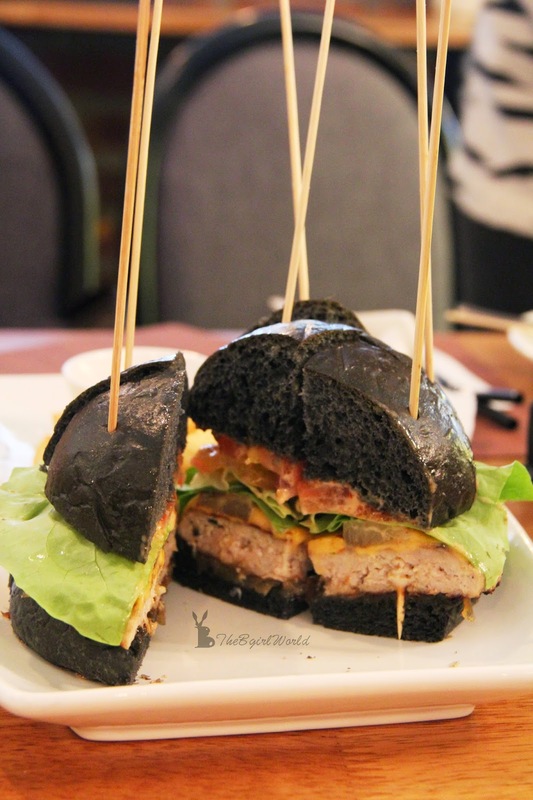 Oh my gosh, the charcoal bun is so soft and tasty, lovin' it! 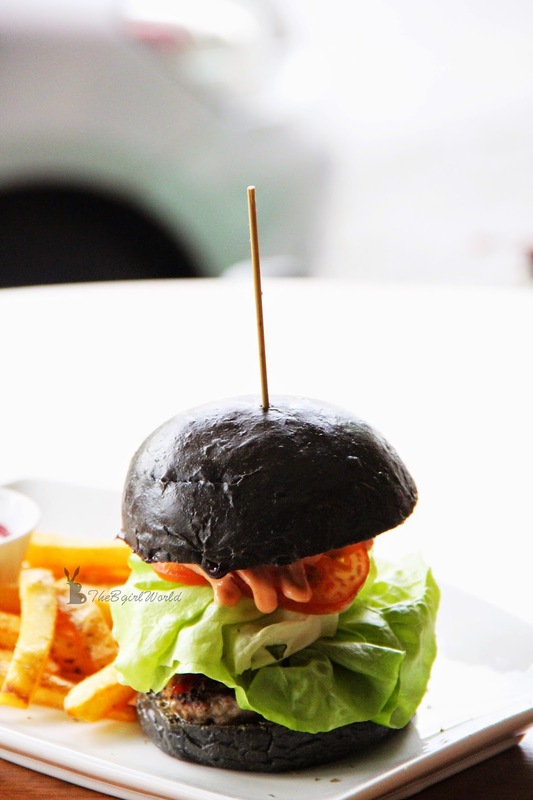 Soft charcoal bun filling by juicy beef patty and fresh vegetable is awesome! But i can't taste out that blueberry jelly and peanut butter. 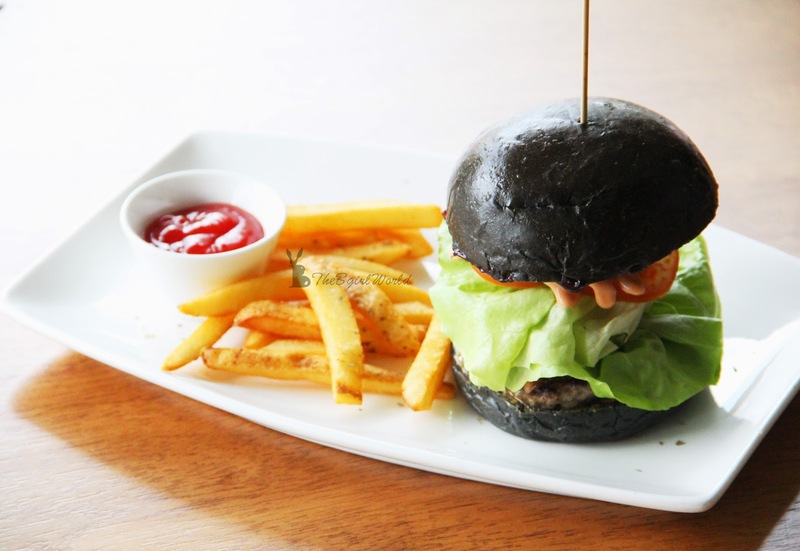 The biggest attraction in GRaB Cafe, made distinctive with Beef rib, grilled pineapple, caramelized onion, Indonesian sambal, butterhead lettuce and fresh tomatoes, fries as side dish. What?!!!! 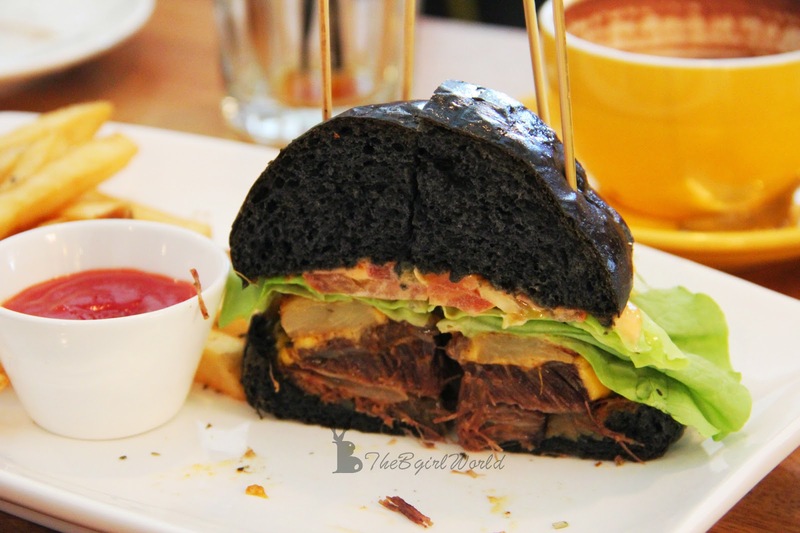 Beef rib burger?!!! had you ever heard about it? 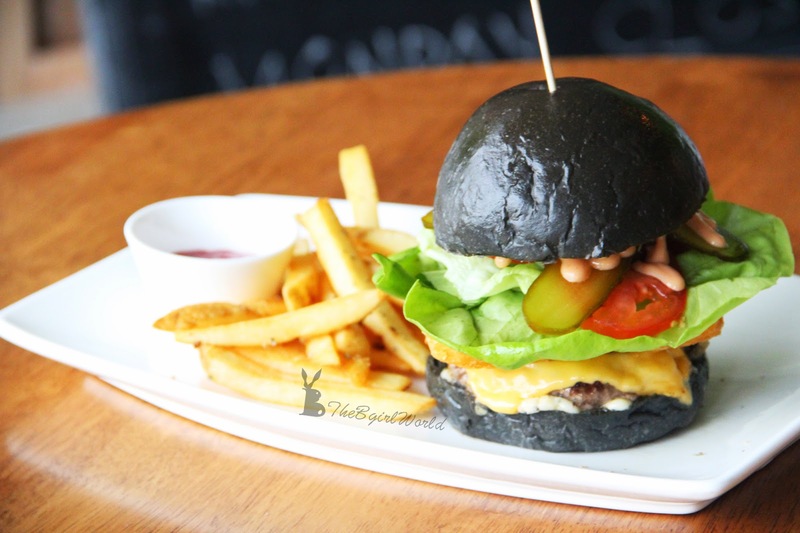 I believe this is the first ever beef rib charcoal burger in Malaysia. 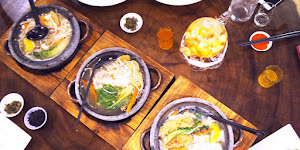 Probably you will ask " is that tender chunks of meat still on the bone?" Yeah! but no worries because it is very easy to take out the bone. 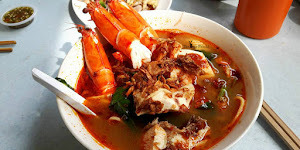 I am super love spicy food, can eat the highest level of spicy, but i did not taste the spicy of it, may be just a mild amount of Indonesian sambal to add in?Never mind, i am satisfied as the price is quite reasonable. 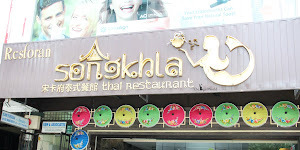 Cool name huh? 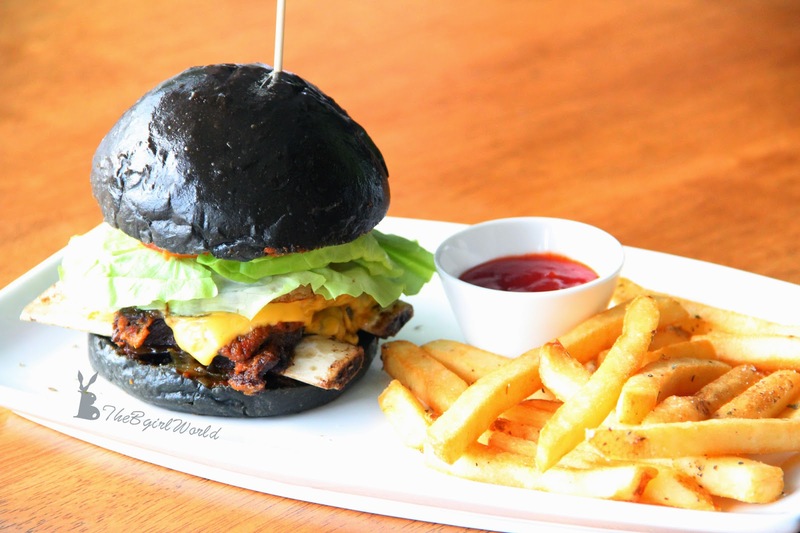 XD it has chicken patty, grilled pineapple, cheese, caramelized onion, teriyaki sauce, butterhead lettuce and fresh tomatoes, fries as side dish. I found this taste like Hawaiian style chicken burger when i eat chicken patty together with grilled pineapple, pineapple boost the sweet sour of the sauce and stimulate your appetite. 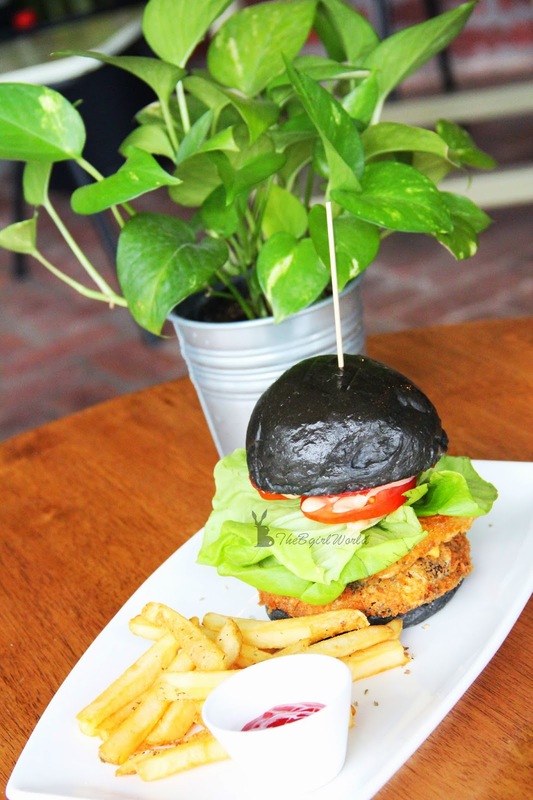 Lamb patty, hash brown, cheese, gherkin, minted mayo, butterhead lettuce and fresh tomatoes,fries as side dish. Tantalising juicy lamb meat and gamey! 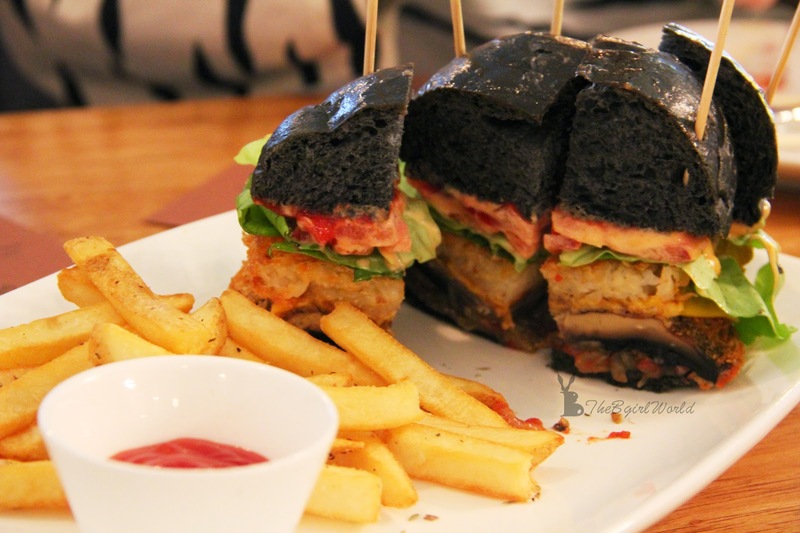 Fried Portobello mushroom, hash brown, cheese, homemade Grab sauce, butterhead lettuce and fresh tomatoes, fries as side dish. 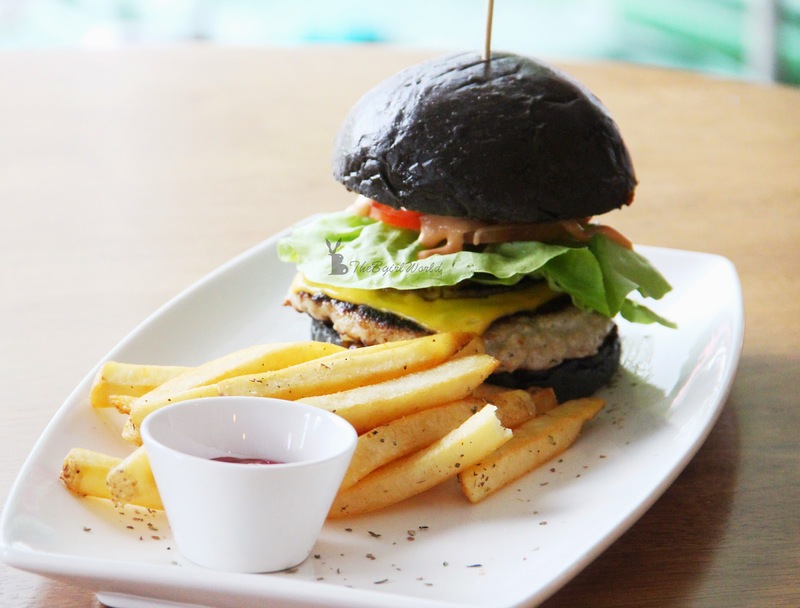 For those who are bored on meat burger, on diet,vegan, healthy people, this is a good choice for you. 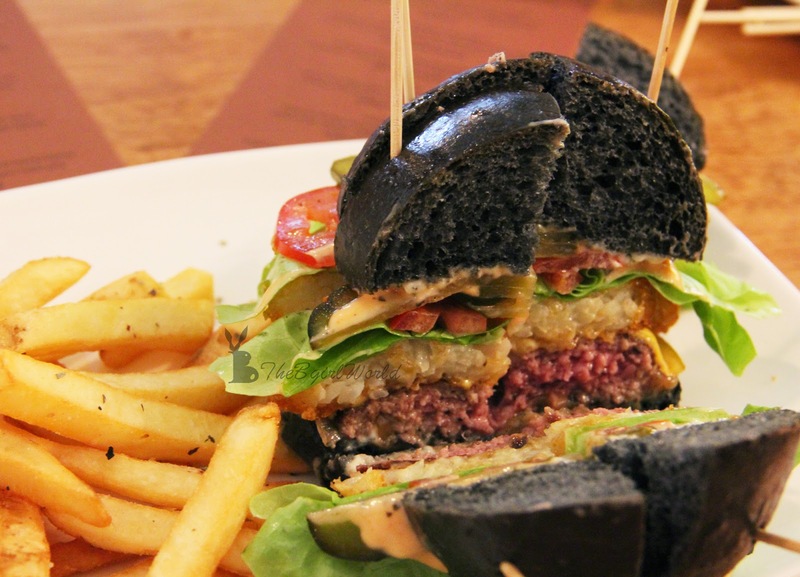 Taste is not bad as meat burger , especially that portobello is not dry because of fried it. 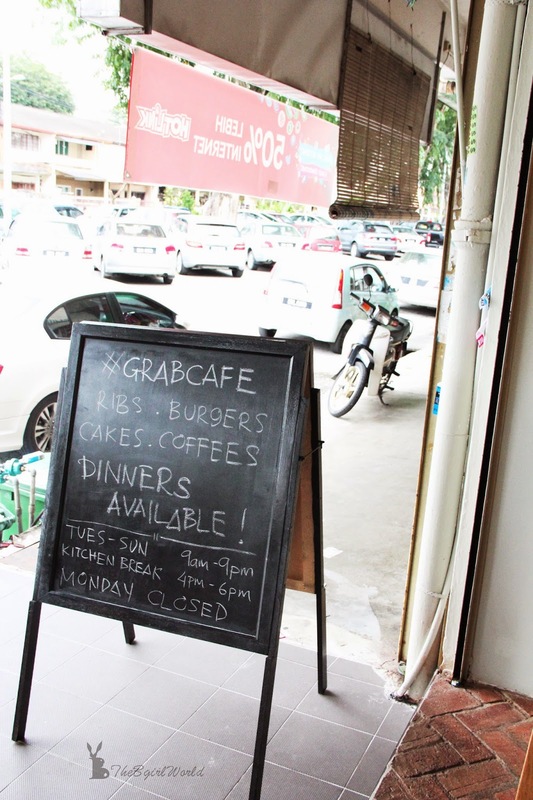 Besides of burgers, GRaB cafe also serve some light food and meal that can be your breakfast, dinner or starter. 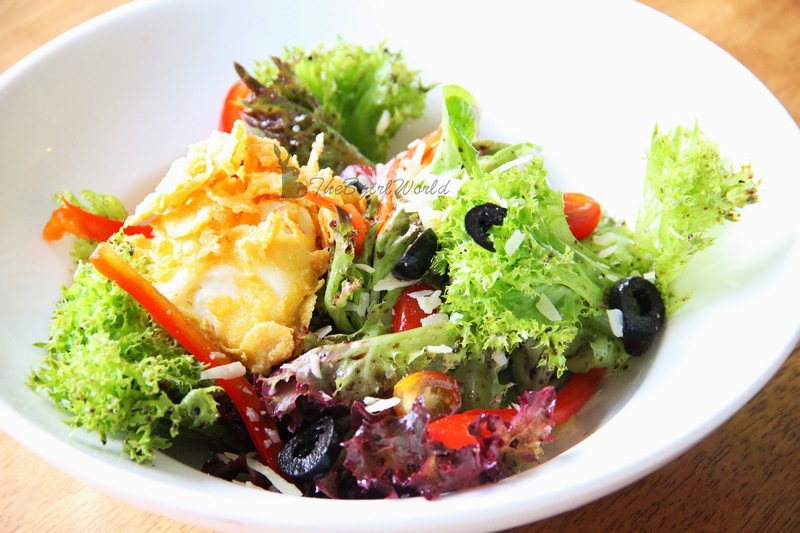 Crip mesclun salad, cherry tomatoes, bell peppers, poached egg coated in corn flakes and seaweed with vinaigrette dressing. Choice of smoked salmon or smoked chicken breast. 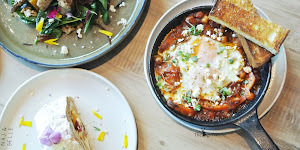 Unexpected salad can make me exciting because i don't eat vege,chef simple twist elevates into something new from classic salad, he coated the poached egg in corn flakes, such an interesting taste. 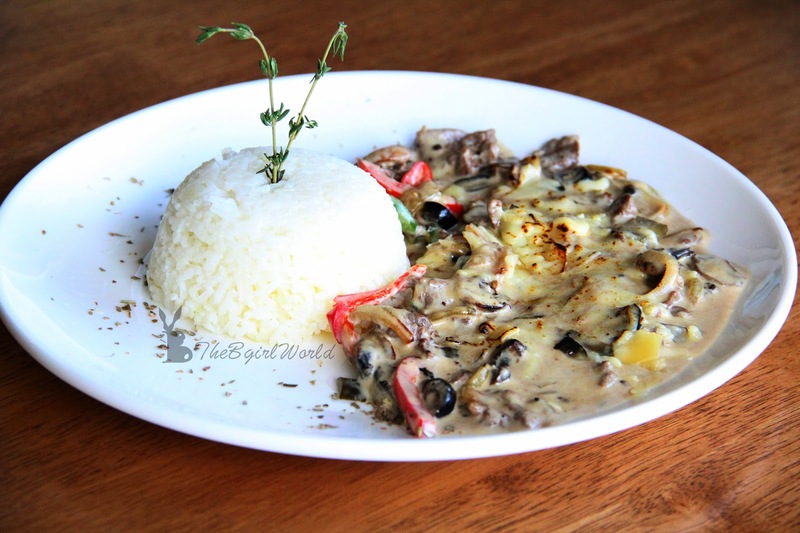 Fillet Mignon quick seared for flavor cooked in heavy cream with mixture of gherkin, bell peppers, button mushroom and onion served with rice.Hmm.... A heavy dish for me with this creamy sauce, better make it be your dinner instead of lunch LoL! 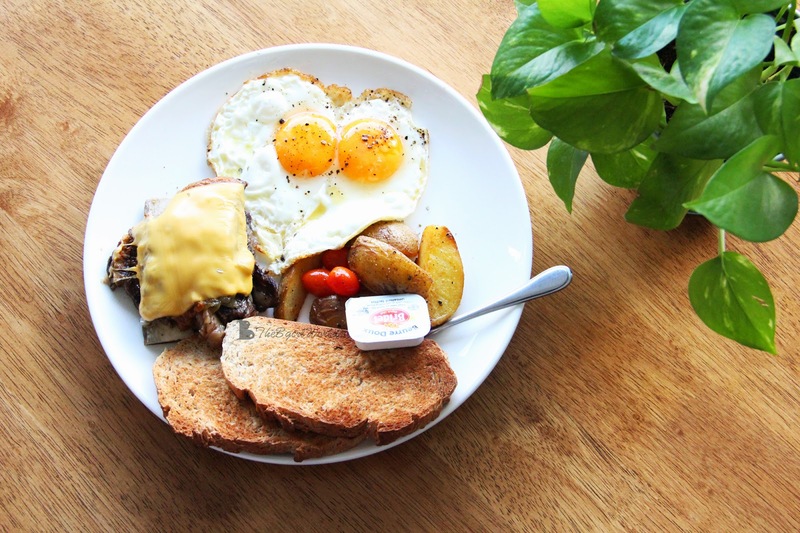 One of GRaB Cafe's Signature Hearty Breakfast. 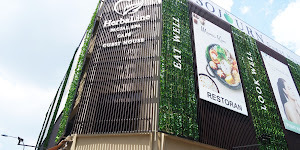 Let's GRaB Cafe to grab you in serving good foods.